Self-editing is something every writer should do, but it means knowing how to do it. Every writer should have a good book in their library, but it shouldn't just sit on the shelf. Get it out often and use it. I like to get my book down and go through it every so often whether or not I'm doing any self-editing just for reinforcement. A good book on self-editing will tell you not to do any editing until you have your first draft completed. Because writing and editing are two different mind sets, it's hard to concentrate on both at the same time, hence causing you not to do a complete or proper job of either process. So the right order is to write the first draft of your book first and then do your self-editing. A thorough self-editing includes it all: grammar, punctuation, structure, dialog, point of view, interior monologue, beats, tributes, rhythm voice, and characterization. Are there any conflicting areas in your manuscripts? Do your characters sound and feel real? Do you have areas where you tell when you should be showing? Does your plot flow and have the ability to hold the readers' attention? And do you have a balance between your narrative and dialogue? I could probably think of some more points/questions you should ask yourself, but these are enough to give you an idea of the point to self-editing. Now I know what you are thinking. But I have an editor to do my editing for me! That's true in most cases, but your book will be more polished if you edit your manuscript yourself first and then let an editor go over it again. 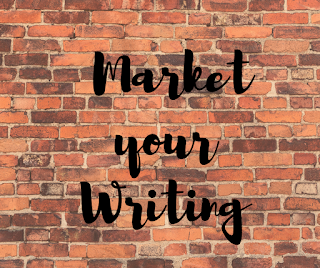 A first-time author will sound less amateurish , and an experienced author will sound like the experienced writer he/she is..
Sound like a lot of work? You bet it is! But it could pay off in the long run. LOVE the book Self-Editing For Fiction Writers...it's a must-read for any author. Thanks for the helpful post. I sometimes write like the wind, but other times I edit as I go along. It depends on my mood. I try to leave editing for last, though. When I do that, I tend to write with more freedom. This is great advice. As an editor, I'm always very appreciative of authors who have polished their own work as much as they can before they submit it to me. It saves me time and them money! Good post! And thanks for the heads up on the book. I will add it to my list. Good post, Faye. Every writer does need a self-editing book in their writing tool box. And, Heidi, I hear you; having authors who who take the time to self-edit and proof their own work saves the editor time and the client money. Unless you do like I did once and quoted a price without realizing the terrible condition the manuscript was in on a 300 page memoir. Another good book is Revision and Self-Editing by James Scott Bell or any advice from Holly Lisle. With so many submissions, editors are a bit crabby about accepting work with too many obvious flaws. They will suggest a submit and rewrite if the storyline is ace. Otherwise the book will be rejected.